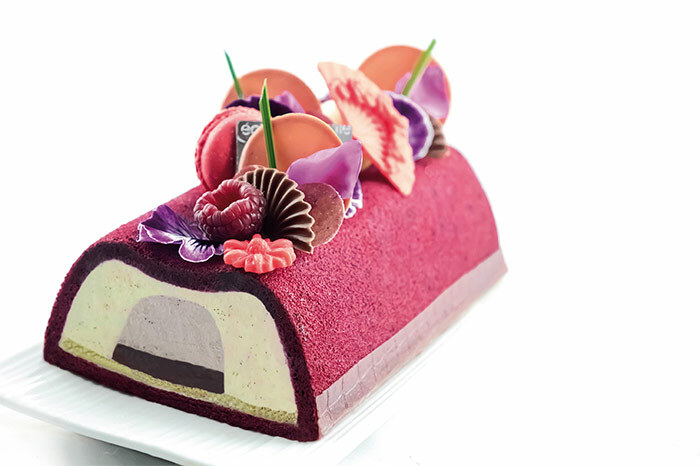 The French chef Cécile Farkas (Créations by Cécile), trained as a fashion designer and with a career of more than 10 years, enters the world of pastry with enthusiasm. 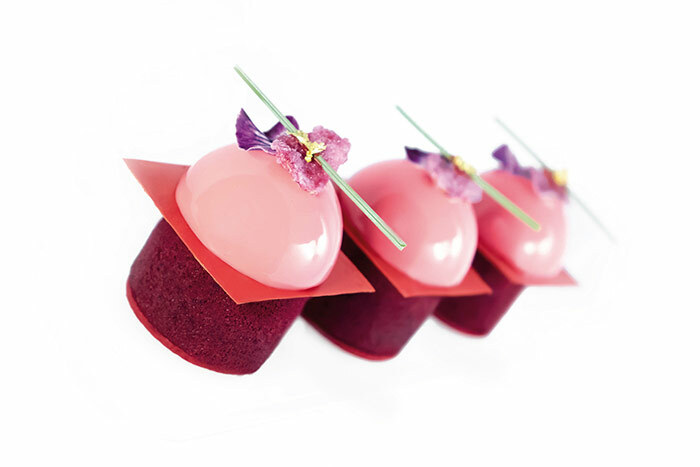 With the restlessness of those who rediscover a passion that comes from childhood and enriched professional experiences alongside pastry chefs the likes of Pascal Caffet, she soon manages to unite both universes, couture and pâtisserie, and set up a web page dedicated to her creations. 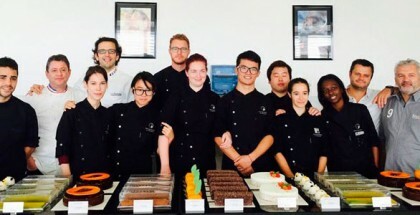 Later, she would become a trainer and specialized consultant for major French pastry chefs, in addition to providing services worldwide. She defines her style as especially feminine, colorful and always looking for something personal and ephemeral, as if it were a collection for an haute couture fashion show. She takes care of all the details, from the idea which inspires a new design, which normally comes from the world of nature or art, to final decorations. Throughout this process, there is no shortage of picture taking, drawing sketches, and carrying out and discarding various tests before achieving the final result. 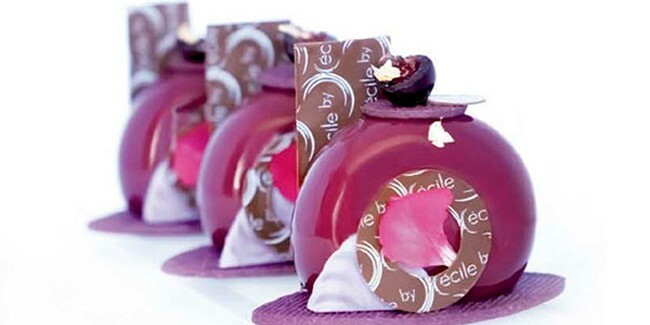 But that love for special presentations and formats is not without a commitment to a complete gourmand experience, which according to Cécile Farkas all desserts must have. She feels particularly identified with the resurgence of classic French patisserie in the hands of young talents of the current French pastry scene, and as a good gastronomic militant, she declares her attachment to seasonal ingredients. In any case, the best way to get to know and enter the pastry universe of this female pastry chef with a creative spirit is to go through the many creations presented on her website, or learn more about her latest work she wanted to exclusively share with our readers. We have also asked her to make a short description and evaluation of each of her inspiring designs. For this creation, I found my inspiration in the world of jewelry and perfumes. Harmony emanates from this elegant and refined dessert. I was looking for a form simultaneously fine, elegant and delicate. I reworked this form pure, like a jewel, like a craft work. 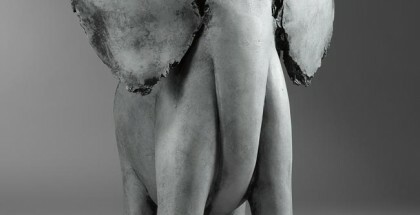 Each design element is designed and built to recreate a couture spirit. I wanted to work with shades of warm and sunny colors. The chosen form related to curves and why not the main fragrance, that is to say cherry. Regarding the taste, this dessert is both refreshing and light, delicious and generous. The result is a balance between crispy and fondant. An alchemy enhanced by the subtle fragrance of sweets. I was inspired by a landscape to make this pastry. I wanted to transcribe using a wave-shaped mold with the idea of seeing inside the different elements that make up the cake as the different layers of a landscape. I used different elements for the decor of this dessert. The main idea was to recreate a small garden with Asian inspirations. I imagined a gourmet garden with rounded shapes and colorful, a dream full of finesse. There is no necessary a link between the form and flavor, although in this creation the red fruits that make up the garden can echo with the main flavors. In this dessert, I wanted to rework different textures like crunchy, mellow, sparkling and creamy. There are even small surprises when you taste this dessert. I started with geometric and pure shapes. This creation is a situation layout for one of my clients. I wanted to highlight his product, that is to say, the crystallized flowers. I am looking for a simple and feminine look with a touch of magic: The main decorative element remains the flower that is of great importance in this creation. In this creation the flavors are soft and subtle. One can find this link in the overall visual style of this creation. I have chosen a comforting flavor combination by focusing my thoughts on textural contrasts. So I imagined a dessert all at once creamy, crunchy, crispy and foaming in a quiet and serene universe. For this creation, I was inspired by floating shapes and volumes. I wanted to recreate a perfect harmony, curvy with sensuality. 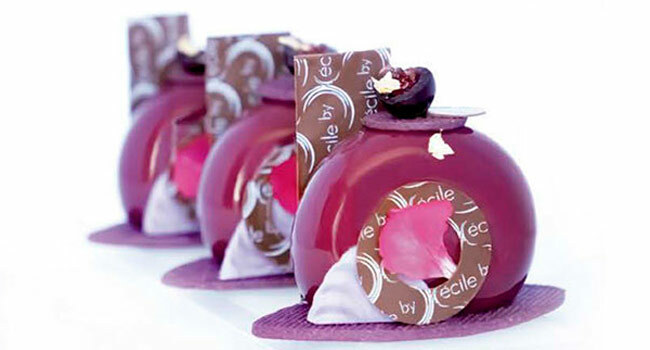 The shape of the entremets is one of the main decoration, colors also accentuate this harmony. The decorations are one touch, just as an echo. The visual impact remains in line with the scent and taste. 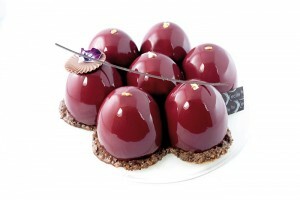 There is also always a piece of scenery, which discloses the principal flavor of the cake like here – chocolate. But I like to keep the surprise. This creation is the perfect match between the gourmet chocolate, the freshness of the Espelette pepper and red fruits: a proper balance between smoothness and acidity.